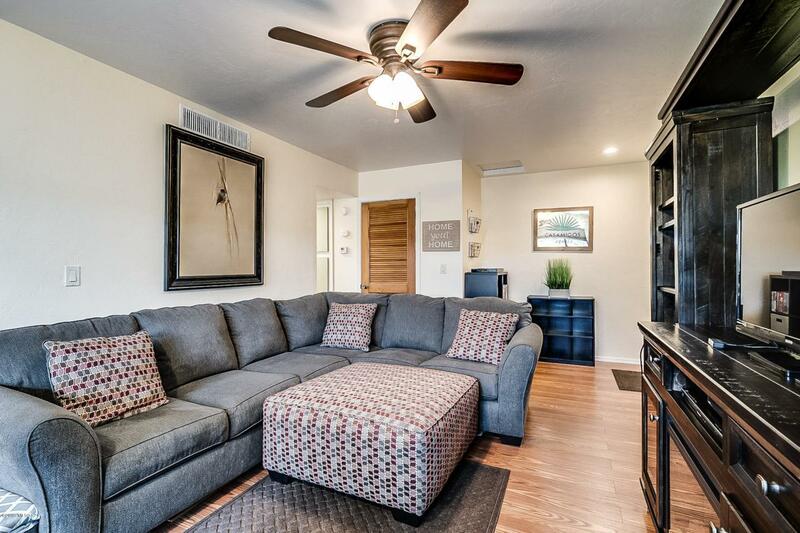 Beautifully remodeled co-op in Terra Del Sol. 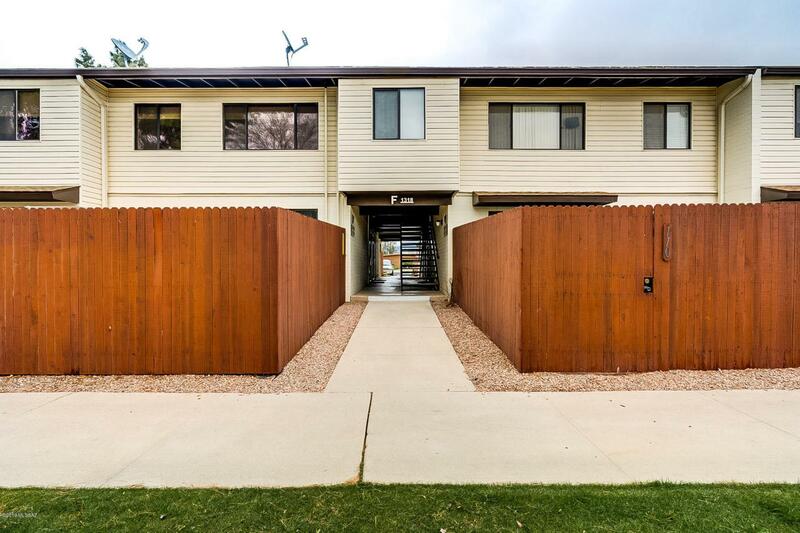 This roomy 1 bedroom, 2nd floor unit is light & bright w/newer paint, well-kept laminate wood floors throughout & functional floor plan. The kitchen has been recently remodeled w/new cabinets, granite-looking formica countertops & stainless steel appliances. 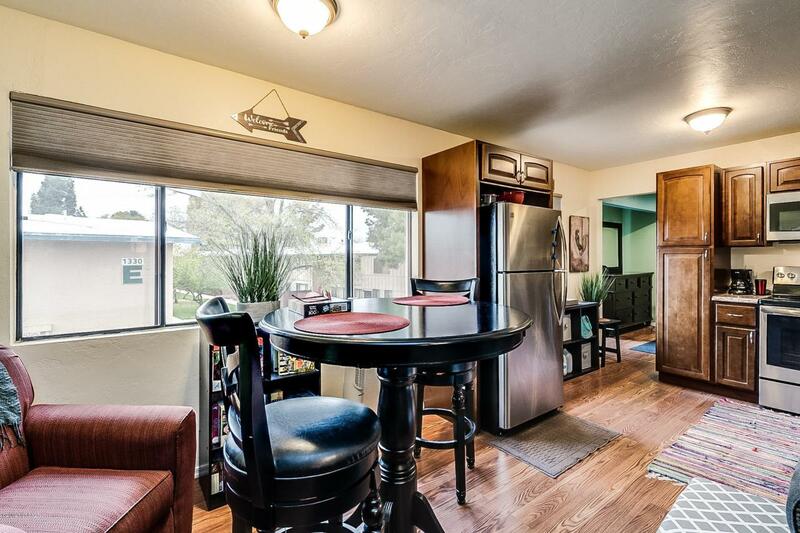 Huge master has fancy closet kit in large closet plus area off bedroom that has access to kitchen. Lots of storage and is like new inside! Serene grounds at this complex included year round grass, swimming pool w/clubhouse, play area for kids, and BBQ area. HOA covers water, trash, sewer, exterior roof maintenance & ground care! 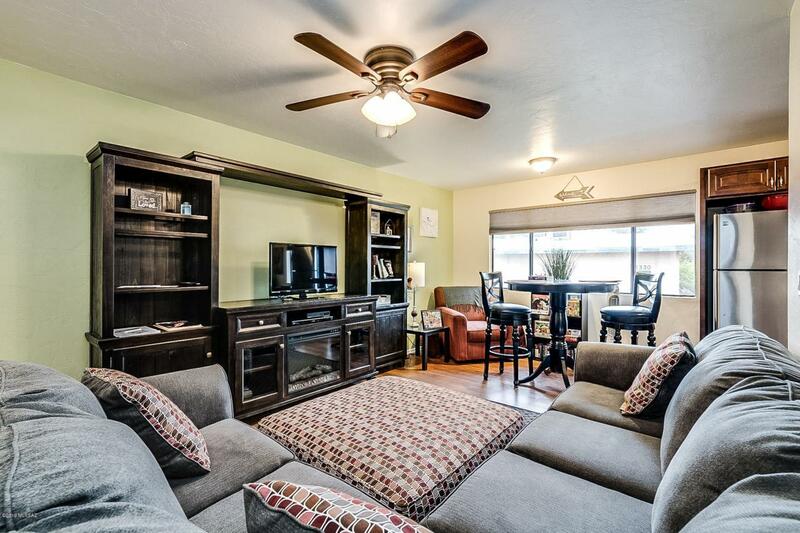 This is a perfect home for college students & winter visitors alike and will not disappoint.